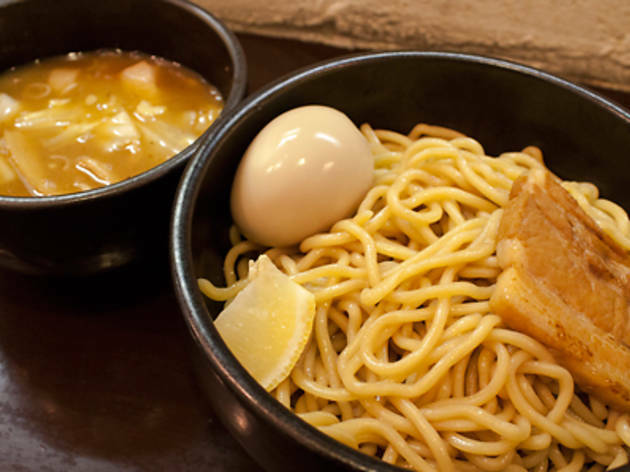 One of the many noteworthy noodle shops around Meguro's Gonnosukezaka, Ikeda specialises in tsukemen with a distinctive, excellently balanced double soup (seafood and chicken). As the handmade, medium-thick flat noodles maintain the same high quality, it's difficult not to wholeheartedly recommend this one for any and all friends of tsukemen. 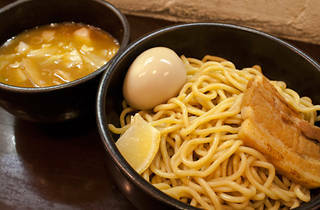 Topping choices range from fresh lemon to flavoured eggs (ajitama) and chashu pork, while standard ramen is also available.